Eventually, your computer will naturally begin to slow down and take longer to perform basic tasks than it did when it was brand new. There are a few tips for helping your PC run at its best between regularly scheduled service appointments. 1. Keep your desktop free of clutter. We mentioned this in the last article and want to repeat the importance of keeping clutter off of your desktop. 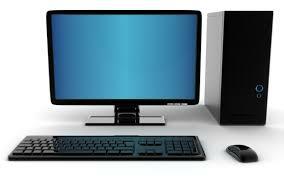 Having excessive icons and documents on your desktop will degrade your PC’s performance. So how do you know how many icons are too many? If they take up more than a third of your desktop space, you’ll want to move the documents you rarely use in another place for storage, such as “My Documents” or a separate folder. If you happen to use several documents frequently, try creating a folder within “My Documents” and create a shortcut to it on your desktop for easy access. 2. Clean out files, folders, and emails at least once a quarter. Not unlike keeping your house clean, you should make an attempt to keep your files and emails organized on your PC. The less junk you have saved, the better your PC will run. Go through old emails and delete the ones you don’t absolutely need—especially if they date back several years. You’ll be surprised how many old emails you’ll find you can delete if you take time to go through them. The same applies to old pictures and files; clean out the ones you don’t need, and keep the ones you do. Don’t forget to permanently delete your junk files from the Recycle Bin after you’ve gone through everything. 3. Be sure to restart your computer at least once a week to help clear temporary files and data stored in flash memory. Restarting your computer will “refresh” your system. Perform this trick regardless whether you are using a new operating system—although Mac OS X Yosemite and Windows 10 may run more efficiently, a good reboot will keep your computer up to speed in the long run. 4. Perform regular system updates. Part of PC Technika’s service is to routinely check that your system is up-to-date; however, you should periodically apply updates on your system between visits. If you’re using Windows, Windows will regularly prompt you to apply updates in the lower right-hand corner of the desktop; simply click on the pop-up box and follow the instructions. Other programs, such as Java or Adobe, might also prompt you to perform updates from the lower right-hand corner of your desktop; also click on them and follow the instructions to install updates. If you’re using a Mac, click on the Apple in the upper left-hand corner of the screen and choose “Software Update” to check for updates available for your system. Regularly updating the software on your computer helps your PC remain secure from outside threats such as malware and viruses. It also helps your computer run its best. 5. Perform regularly scheduled maintenance. You visit the doctor or dentist to make sure your health is in check, and take your car to an automotive shop to make sure it’s in good working order; the same should be done with your PC to keep it running smoothly and prevent any problems that may be lurking on the horizon. Here at PC Technika, we offer regular cleaning, maintenance, and inspection of components; we can also advise you of other issues your machine might have. If you have any questions or are interested in scheduling an appointment, call us at 919-741-6114, or drop us an email at info@pctechnika.com.